More at Buzzfeed, on Beauty and Sorrow. It’s been a really rough week and I’ve written three hard pieces. One is hosted here, about Tamir Rice and his far too untimely, unjust death). 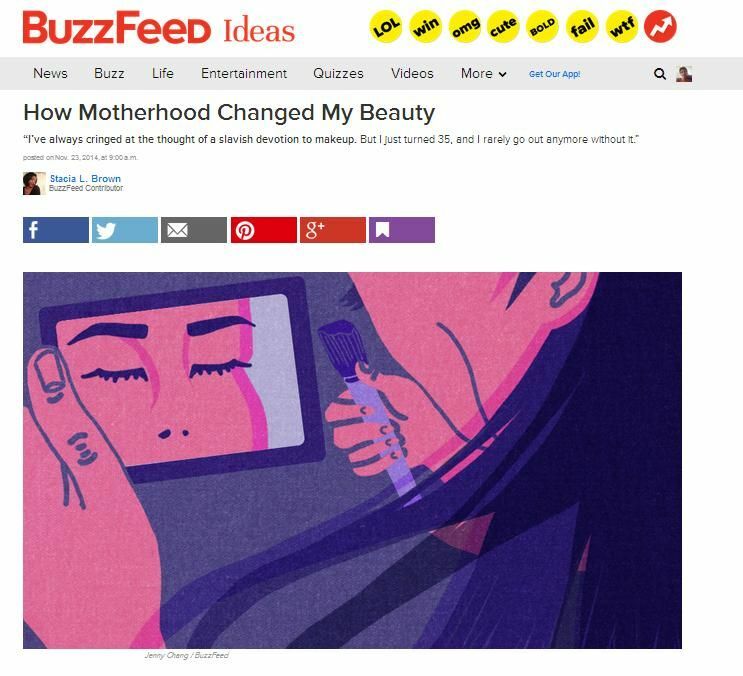 Before that, I wrote about how the role of makeup has changed for me after becoming a mother. That was published last Sunday at Buzzfeed Ideas, but I don’t think many people had time to read about that between all the national tragedy we’ve been managing in the days since. I think I was so busy trying to write something about the announcement that I didn’t immediately process it. I also think that because I was so deeply invested in the outcome of the George Zimmerman trial and I’m still not entirely over his acquittal, I couldn’t put much stock in the outcome of this grand jury consideration of an indictment. It’s been clearer with Ferguson. Every agency of authority in the state of Missouri has conspired to protect the shooting officer here. And that’s been terrifying for every day since August 9. Anyway, it’s the day before Thanksgiving and I’m trying to hold love and hope and gratitude in the same crowded heart that’s already so swollen with anger and defeat. So I’ll let what I’ve already written speak to what I’m currently feeling. 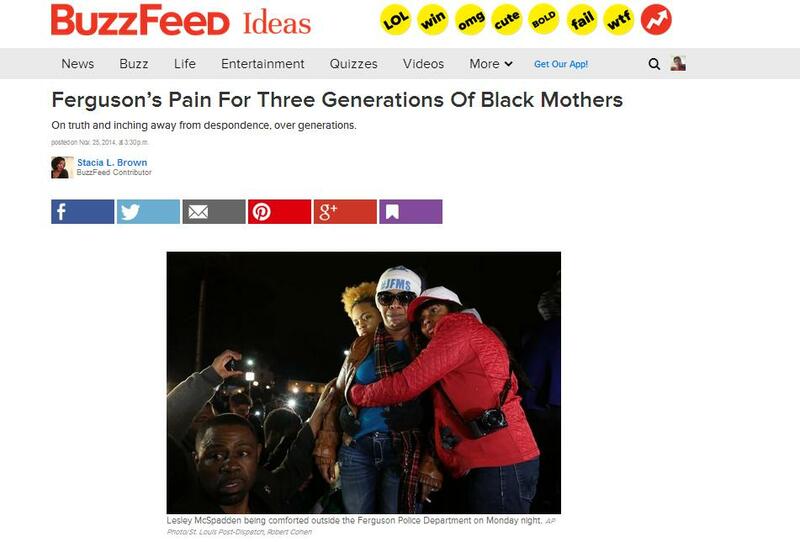 I wrote about Michael Brown and Ferguson six times this summer. Not much has changed there. On a cooler note, a Twitter friend told me that my very first Buzzfeed Ideas piece, on parenting and empathy, is now available as an audio-read at Umano.